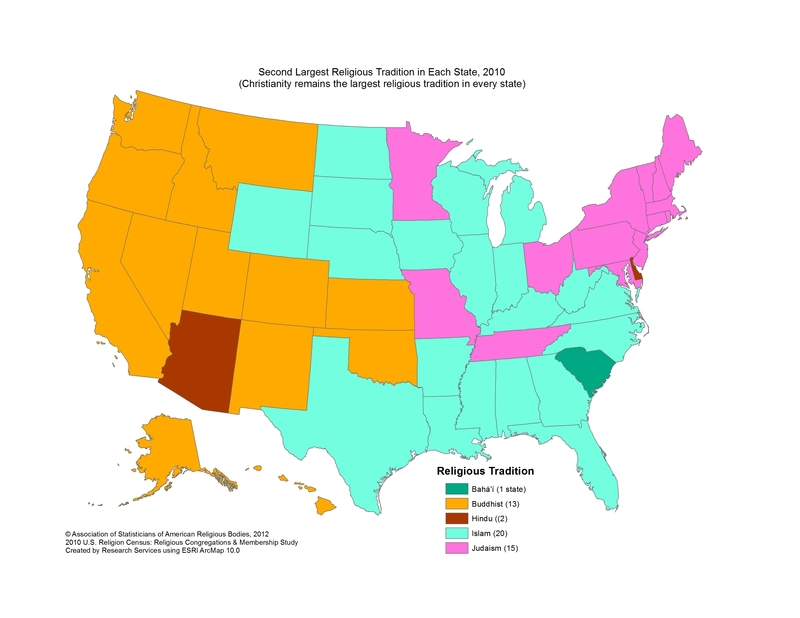 What religions, besides Christianity, make up the largest number of people in each state? When did the USA get a 51st state? Or are you counting DC? My source gives those numbers. I guess it lists DC as a state. I got them all, but I'm curious...which state has Baha'i at #2?